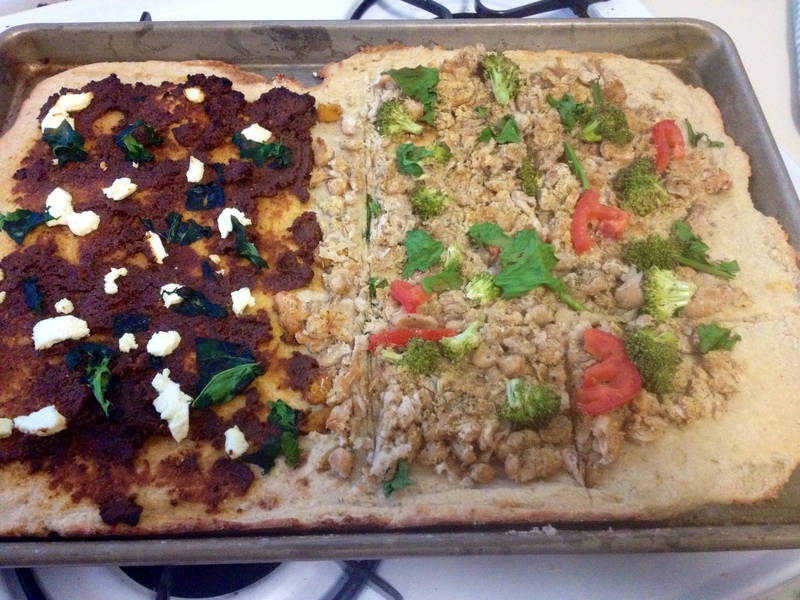 Best Vegan & Gluten-Free Pizza Crust – .rebel grrrl living. This pizza crust is crunchy, flavorful, and provides an excellent foundation for a diverse range of pizza styles. I topped it with pesto one night and a white bean mash/traditional red sauce another time. There’s a subtle sweetness to this crust that makes me think it would also be well suited for something like the grilled peach pizzas with arugula that I’ve seen floating around Pinterest. Combine yeast and 3/4 c water. Water must be 110* or less, or else will kill the yeast. Let sit a few minutes and then add 1 Tbsp sugar. Let sit a few minutes more. Meanwhile, combine flour mix, salt, baking powder and remaining sugar. Make a well in the dry mixture and add the yeast mixture. Add olive oil and 1/2 c remaining water on top, then stir all together with wooden spoon until well combined. Roll out on greased and or floured pan/surface. half with goat cheese for the non-vegans. 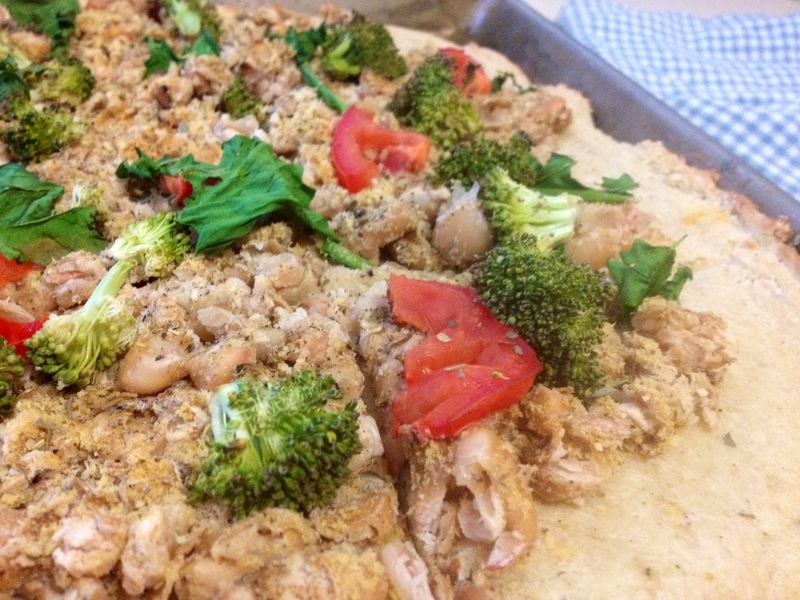 half with delicious white bean spread and broccoli for me. I realize this is one of those GF recipes with a ton of different flours, which is annoying, but if you’re like me, you bought sorghum once for some random muffin recipe and now you have a whole bag of it and nothing to do. So hopefully this can help you clear out your half-used bags of pricey flour. Plus, it is delicious and totally worth it.